To many Tunisia is just another one of those obscure African countries that most people have never even heard of. However, what makes Tunisia so special is its Hollywood connections. This beautiful country has served as the setting for scenes in over 130 productions. From Star Wars to Monty Python's The Life of Brian, filmmakers have been drawn to Tunisia for its stunning diversity that makes is a flexible and scenic setting for media both steeped in fantasy and those that have both feet firmly planted in reality. For those touring the movie sets of Tunisia, here are a few good places to start. As a Star Wars fan, you thought Tatooine was just made up for the movies. 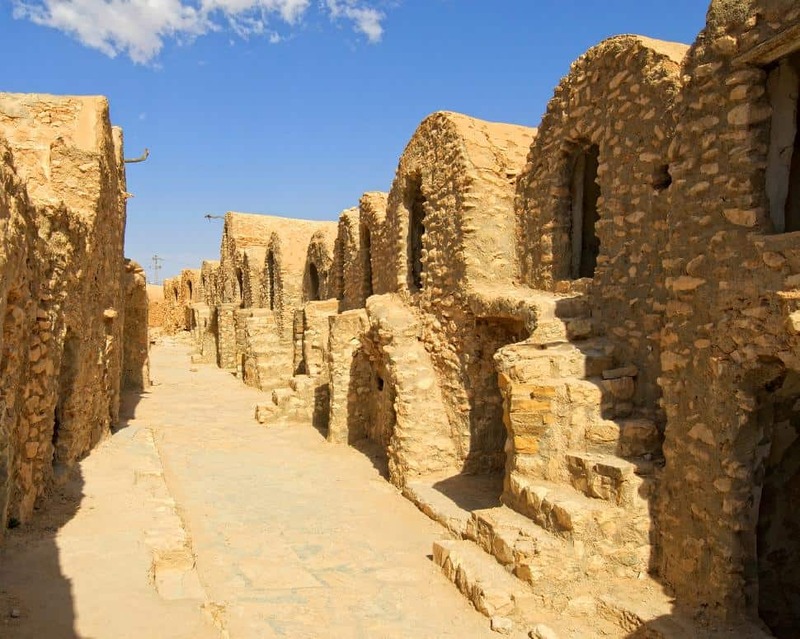 However, it was the real town of Tataouine that inspired the location name in the movie. 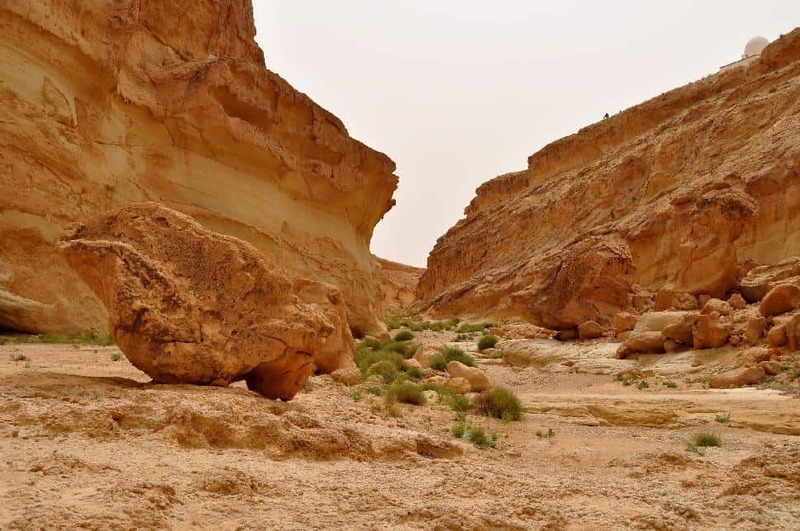 Tataouine in Tunisia is located just south of Medenine and its township and surrounding landscape serve exclusively as the setting as the planet Tatooine in Star Wars. While is has it's touches of modern housing, there are still the giant housing complexes that look to be carved out of solid sandstone abound in the city. What is even more exciting is that people live in these once movie sets, coming and going as if the planet Tatooine was a living thing in the universe. For those that want an extra treat, on the southern edge of the city is the Ksar Ouled Soltane grain storage facility that was used as the background for the Slave Quarters shots in Episode I. Remember that opening chase scene in Indiana Jones: Raiders of the Lost Ark where Indy was running through the streets of Cairo from Nazis? Well, it certainly felt very Cairo-ish to many viewers at the time, but it wasn't even a city in Egypt. The entirety of the Cairo chase was actually shot in Kairouan. 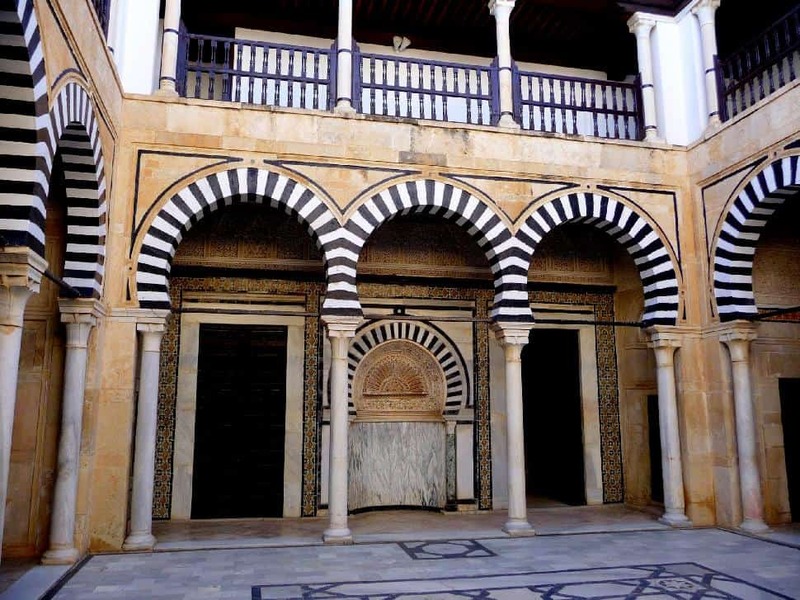 Outside of the silver screen, Kairouan serves as the fourth most holy city in the Muslim faith and is a major destination for pilgrimage. Some of the holy sites such as the Great Mosque and the Medina can be seen in passing during the Cairo chase seen in Raiders. While the mosque is only featured in the skyline, the Medina is featured heavily as Indy rushes through it, though it goes by so fast that movie goers will hardly notice it. Juntland Wastes is a massive desert canyon about 20 kilometres northeast of Tozeur. This canyon goes by more than a few names, however. To the locals it is called Sidi Bouhel, but to Hollywood it was called the Juntland Wastes. However, after 1976, it was dubbed Star Wars Canyon by George Lucas, and the name has since stuck pretty solidly. This deep canyon was used for no less than nine scenes throughout various Star Wars movies, but it was also used as a set for Raiders of the Lost Ark and The English Patient. Star Wars fans will undoubtedly recognize the canyon as the first place where Luke met Ben Kenobi as well as where he was attacked by Tusken Raiders. The narrow inside gorge and one hundred meters high cliffs are now iconic to film imagery, but it is also a great place for hikers and outdoors people to walk around. There are plenty of movie tours around Tunisia and most of them will state that the Monty Python's Life of Brian coliseum scene was shot in the coliseum of El Djem. While El Djem boasts the third largest Roman amphitheatre in the world and is certainly worth a visit, it looks nothing like the coliseum featured in the film. 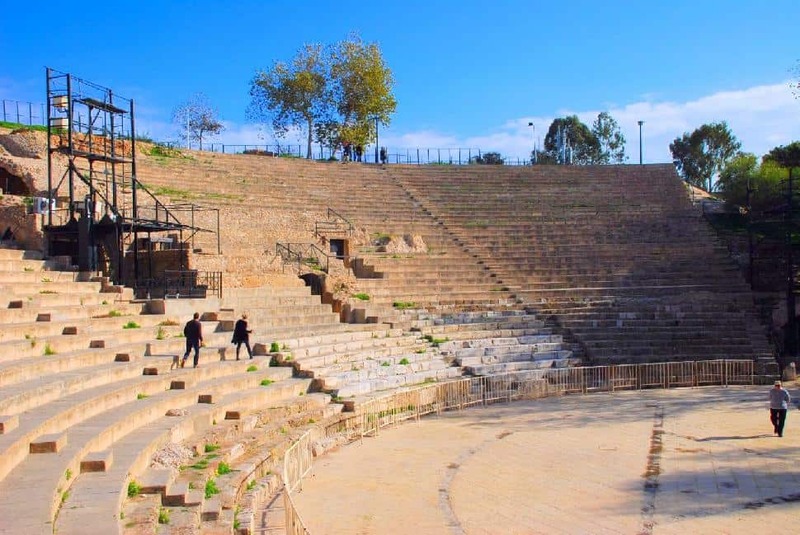 In fact, the setting used for the coliseum where Brian was recruited into the People's Front of Judea at the bloody Children's Matinee was filmed at the Roman amphitheatre in the UNESCO site of Carthage in northern Tunisia. Of course, the coliseum was given a temporary makeover to make it as glamorous as it was in the movie, but it is still stunning in living color, as is the rest of this once mighty city that now lies in ruins. Unlike so many other sets from the Star Wars franchise, Mos Espa wasn't a native Tunisia landmark or city. This set was built from nothing in the middle of the desert and it still stands today. 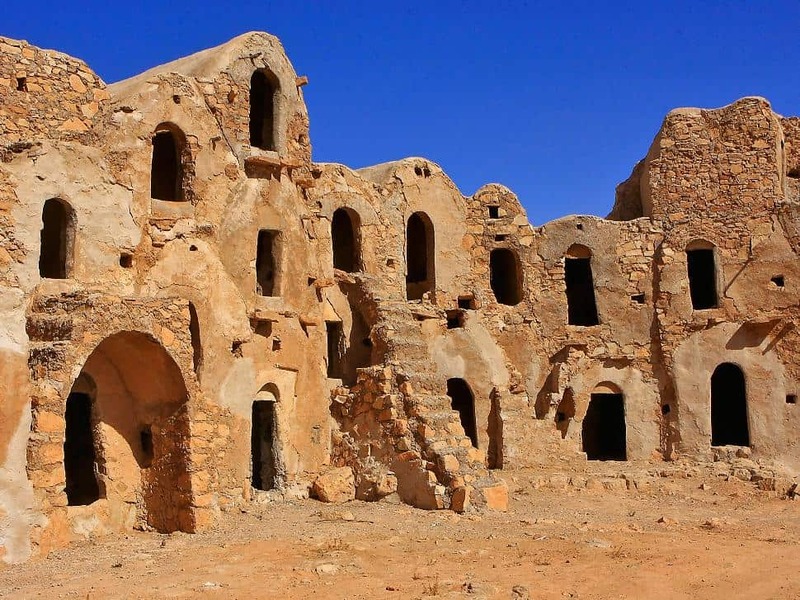 While most people in Tunisia have never seen the Star Wars movies, they recognize the value of movie sets and still maintain Mos Espa in good condition for the movie buffs that come to see it. Visitors can tour the whole city exactly as it is seen in Star Wars, from the front gates to the Pod-racing arena and all the way down to the little details like the Sebulba Cafe. For those that visit early in the morning, they could even have the city all to themselves. Tunisian cuisine there combines the best of Middle Eastern, Arabic and Mediterranean styles with a touch of French influence.